Welcome to the Advanced Seismic Testing & Research Laboratory (ASTaR) at CSIR-SERC! ASTaR Lab was established as a national facility at CSIR-SERC on its 43rd foundation day on 10th June 2007. This laboratory is a purpose-built, state-of-the-art facility incorporating all major seismic testing methodologies, and is engaged in basic and applied researches that resolve critical seismic engineering issues. We seek to build interdisciplinary knowledge and expertise to develop innovative strategies for increasing the safety and reliability of civil structures which are subjected to dynamic hazards such as earthquakes. Our research is focused on the areas of structural dynamics, evaluation of seismic performance of civil engineering structures, development of advanced seismic response control seismic resistant design strategies and vibration assessment of structures. 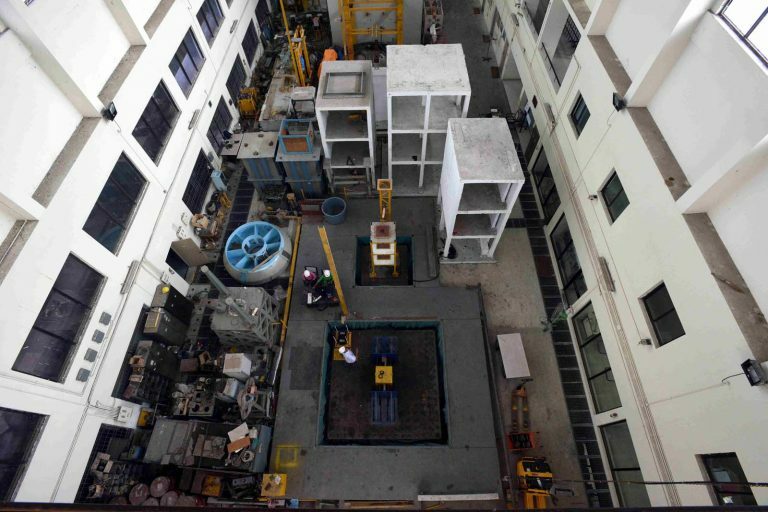 The Lab continuously strives to be a focal point for earthquake engineering and vibration dynamics in India.